Everybody wants faster internet. Instead of investing in better technology like fiber, however, providers like Comcast seem intent on trying to squeeze more out of their aging cable networks—and charging customers higher and higher fees for marginally better speeds. The latest example of this irksome trend comes from Chattanooga, Tennessee where Comcast will soon offer cable-based gigabit broadband service that still isn’t the internet you really want. The new service takes advantage of the DOCSIS 3.1 standard that allows for fiber-like speed over existing coaxial cables. That means customers in Chattanooga could sign up for gigabit internet (with a max of 1 Gbps download speeds and 35 Mbps upload speeds) at a promotional rate of $70 a month under a three-year contract. 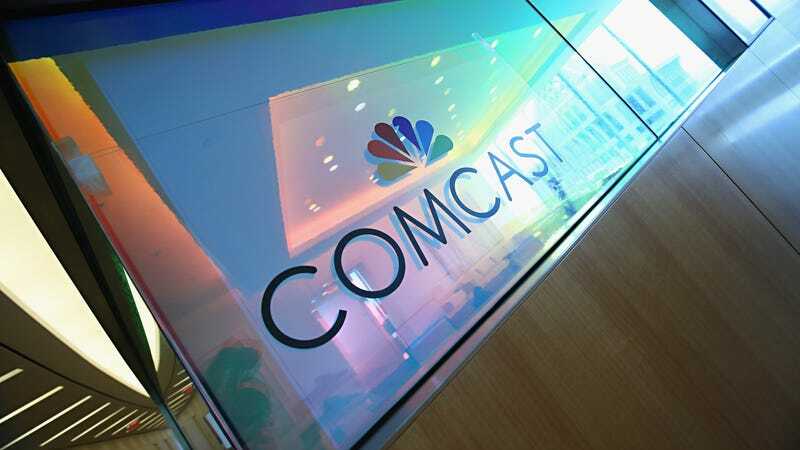 A Comcast spokesperson said that service would be available without a contract for $140 a month. It’s unclear if the promo price will jump to $140 when a customer’s contract expires. But since the service is cable-based, your old hardware should work with the new service, right? And since Comcast is advertising gigabit speeds, you’ll get those gigabit speeds, right? Very wrong. The comfort of sticking with cable actually saves Comcast more in avoiding laying more fiber in areas where most homes connect to the internet through coaxial cables. But just because you own a cable modem doesn’t mean you can enjoy the blistering gigabit speeds. You need a modem that supports the DOCSIS 3.1 standard, and a wi-fi router that can handle gigabit speeds. Beyond that, the very fact that the new service operates on old coaxial wires as well as some older pieces of infrastructure means you might not be able to hit that treasured gigabit benchmark. Thing is, most people don’t own this newer hardware or live in a city with top-notch infrastructure. Netgear just released the world’s first DOCSIS 3.1 modem “certified by Comcast” earlier this year in a push that coincides directly with Comcast’s push to expand its cable-based broadband offerings. So far, only select groups in Atlanta, Chicago, Detroit, Nashville, and now Chattanooga can sign up, but the company plans to bring the technology to the “majority of its service areas” by 2018. Cursory searches of Amazon and Best Buy show that the Comcast-approved Netgear modem is the only choice for taking advantage of the DOCSIS 3.1 technology. The new Comcast service must feel like an insult to the residents of Chattanooga, where a lauded fiber optic network serves gigabit speeds to every resident for just $70 without a contract. Again, the new Comcast cable-based broadband will cost $140 without a contract. (You’ll still need hardware that supports gigabit speeds, but it’s more widely available than DOCSIS 3.1 modems.) The network itself is nearly a decade old, although it has suffered through multiple lawsuits mounted by Comcast and other big telecoms who aimed to prevent the city’s Electric Power Board (EPB) from becoming a competitor. In 2015, Comcast finally surrendered when the EPB announced the new $70 gigabit fiber service for Chattanooga. To be fair, fiber is expensive and complicated to lay down, but cable-based broadband service simply isn’t as futureproof. While further updates to the DOCSIS standards will bring faster speeds to the coaxial infrastructure, each new version will require a new modem. Fiber service, on the contrary, enters your home through an optical network terminal, usually provided by the ISP. In many markets, including Chattanooga, you can already buy fiber service that offers speeds up to 10 Gbps through this equipment, and speeds are expected to keep rising. In addition to those hidden costs, Comcast’s new cable-based service depends on an aging coaxial infrastructure, so there’s always the possibility that you simply won’t be able to achieve speeds as high as advertised. Utilizing DOCSIS 3.1 standard is certainly exciting for some customers, but it also feels like a ploy for ISPs to squeeze every last bit of business from soon-to-be obsolete networks. 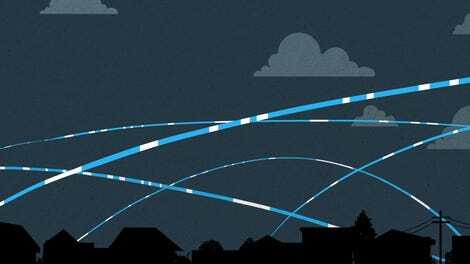 If you live in Chattanooga, Atlanta, Chicago, or Nashville, there’s a fiber-based ISP that you could choose over Comcast, often at half the price of Comcast’s contract-free price for cable-based gigabit broadband. Frankly, however, the fact that more Americans now have a choice for internet service is good progress. Just don’t forget to read between the lines before you get too excited over a shiny new thing.